Welcome back, my intrepid word adventurers. Over The last few weeks I’ve been editing my unruly middle-grade novel and hobnobbing at a local con, but now I can say I’ve completed the fourth week of smithing on this novel. I’ve banged together a workable outline, one I’ll continue to improve as I progress into the story. I forced myself to pause, frothing and chomping at the bit to start the first chapter. However, I’ve only had one regret in the past about spending a solid months on the novel outline: not outlining for two months. Before beginning my writing, I wanted to make certain I had done what I can to make my story powerful. I want it to sctintillate in the hands of the reader like a world-saving magic sword. I’ll go over the outline act by act in later posts, but today I wanted to talk about how to make a story glow with emotion. My book may make the reader laugh or clench their Kindle in sweaty anticipation, but if nothing is felt after the heroine saves the day, I’ve failed. The first step to evocative storytelling is to have a large release of tension at the end of the story, from All is Lost to Happily Ever After. Joyous endings are generally better because they allow for the greatest contrast with the despair that begins Act IV. The second way to elevate a story to the stratosphere of feeling is with character change, which directly leads to the resolution of the plot. But I believe I discussed this already. Before I understood how to write novels with character change, I could still yank the heart strings with effective, devious use of symbols. A symbol is something visual that transfers emotion from one scene to the next. A symbol may be present in a tragic parting between two characters. That same symbol can then be handled in later scenes by the protagonist, and the reader will understand that the protagonist is thinking of her lost love. Also, the mention of the symbol will remind the reader of that earlier scene without any additional work on the part of the author, transferring some of that emotion forward. Symbols speak louder than words. Whenever the themes of separation and loss resurface, the symbol can be reintroduced, gaining a momentum of attributed feeling. During the resolution of the story, that symbol can be flourished a final time, and it might just prickle the reader’s eyes with tears. In my current manuscript, the character Arnen will die before he can give the heroine, Lar, the gift of an ornate key necklace. When Lar has to gather courage to enter the treacherous glacier caves, to save the soul of her lost love, she will grip the key, feeling its sharp coldness. And symbols can change to provide a visual cue that an internal element of the heroine has also changed. The woolly goat Buttercup will loosely symbolize Lar’s obligations to the living. At the midpoint of the story, she will shear off Buttercup’s outer shag of yellow fur to reveal her spring coat of pure white. At this same time in the novel, Lar will be gaining a better emotional balance and becoming less self-destructive in her goals. This discussion reminds me that before any of these techniques will work, the reader has to care about your heroine. Creating protagonist sympathy is perhaps the most important element of storytelling (and no easy feat especially when you choose crazy “interesting” protagonists like I do). With the proper encouragement, I will return to this topic in a later journal entry. Heroine sympathy in brief: undeserved misfortune and helping others in amazing ways. The next step to enchanting a novel with emotion is even more technical. We’re getting properly greasy with words between these moving story gears, just the way I like it. I want to create emotional depth, and fundamentally that means throwing the protagonist into sticky situations that are both surprising and ambiguous. I’ll list them here as they appear in my notes. Helpless to aid someone the protagonist loves. Force protagonist to see through the eyes of a person she doesn’t like. Forced to do potential evil. Forced to violate protagonist’s own integrity. Forced to carry out another’s agenda. Forced to kill a person with good traits. Find out friend ambivalent toward protagonist. Two major characters trade places. Innocent people are in the way. Instead of friend betraying protagonist, powerful if protagonist forced to betray friend. good and had their reasons. Problem with no obvious solution. Spiritual power gives physical strength (or ability, need not be shown exclusively in fights). Pivotal emotional points: No option but to act, all seems lost, victory stolen by realization that the real fight has just begun, moments of parting and reunion between characters we care about, running from a superior enemy, loss of characters, mystery solved ‘a-ha,’ non-cliché action sequences, and stunning plot twists. A downside to victory. (People fear your power). Bittersweet ending: Character arc completed but not goal. Or an open ending: Must provide a framework for speculation. 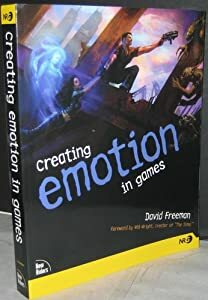 For additional explanation of plot and character deepening, read Creating Emotion in Games, by David Freeman. This next point doesn’t relate the rest of the journal entry, but it’s nonetheless important. I will include a gay character in my next story, and I asked my friend Allurose and several other members of the queer community how best to portray that character. Good thing I did because I would have botched it. Likewise, I received the generous advice of Black Anise on Nordic culture and myths, which will enrich the fantasy setting that much more. Until next week, then, and don’t forget to stay out of jail.